Opinion: XRP has been one of the coins that has held its own in the recent brutal bear market, proving to have a much more healthier bounceback than many others in the top 10 cryptocurrencies. Even in the midst of the bear market, the coin has been able to prove its worth, taking the #2 position from Ethereum [ETH] and staying there as the market continues to bleed. Even as the coin reigns supreme as the biggest altcoin, there have been some developments taking place on the publically visible XRP Ledger that might provide some insight into Ripple’s use of the coin. HODLers of the coin got the moment they were waiting for when Ripple announced a product that would directly utilize the global liquidity pool provided by the trading of XRP in order to optimize cross-border payments. Since the product, which is known as xRapid, was announced, enthusiasts have been waiting for the coin to shoot up in price owing to the high amount of trading volume that would flow through it owing to its usage by major banks around the world. The exchange trading volume of XRP, however, seems to be around $702 million as reported by CoinMarketCap. 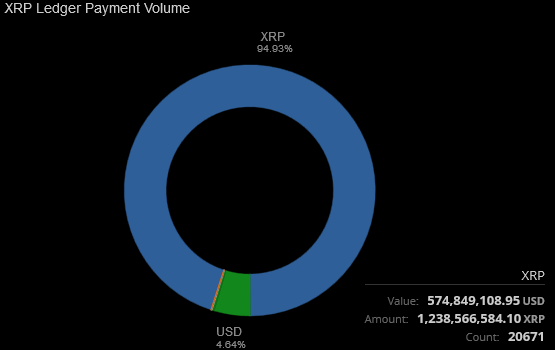 However, if one took a look at the XRPCharts website, we can see a much more accurate figure of $517 million as the trading volume over the past 24 hours. 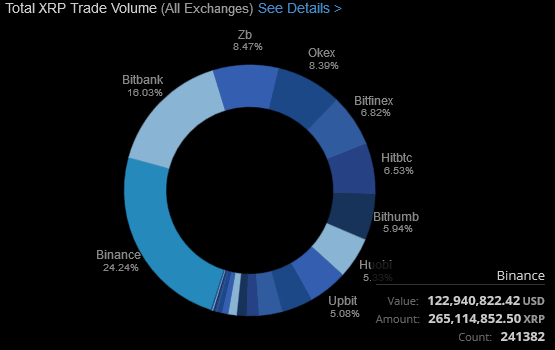 However, payment transactions on the ledger have overtaken the trading volume by a considerable margin, with the on-ledger payment volume at $613 million. This is also owing to a large amount of transferring funds between whales over the past 24 hours, as seen by the tweets made by XRPLedger, which are set to monitor transactions over 5 million XRP in volume. As seen by the spreadsheet, there have been 11 transactions above 5 million, out of which 5 of them, totaling 39 million, are controlled by exchanges such as Coinone, Bitfinex, and Bitbank. However, from the 6th transaction onwards, we can see that a wallet was used which was activated by Chris Larsen, the CEO of Ripple. The sender of the transaction, with wallet address rGyjtvQLqDyRdCUrhnse1heavbTd2hKgXr had a chain of activation, namely rGyjtvQLqDyRdCUrhnse1heavbTd2hKgXr – rf7WAn8Nbwp32PmxHQrmztw5Cr66EXnr4F – ~RippleWorksOrg – ~RippleFoundation1 – chrislarsen. 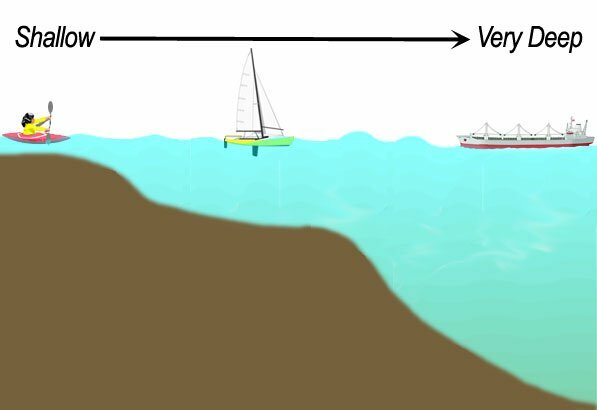 The receiver had a chain of activation from rMbq6T21uFvBXo7P1uRYVKvxctDbVE3qDB – rnHScgV6wSP9sR25uYWiMo3QYNA5ybQ7cH – rpi2nuD41z71GsEY3XqXfaBghagQiBgaTr – rf7WAn8Nbwp32PmxHQrmztw5Cr66EXnr4F – ~RippleWorksOrg, which led back to Chris Larsen. Rippleworks is a “foundation to support financial inclusion around the world”, according to Ripple’s announcement in 2015 regarding the launch of this venture. The CEO, Doug Galen, was mentioned by name in the article and is also present on the “Who we are” section of the Rippleworks website. Therefore, the exchange of XRP between these two parties might be an activity undertaken under the “Ripple for Good” operation. The same can be said for the next transaction, which operated between wallets activated by Silicon Valley Community Fund, a donor-advised community foundation that serves Silicon Valley. The next 4 transactions take place between multi-sig addresses, with the last one having a total of 200 million XRP transferred. Interestingly, a wallet activated by Ripple by the sequence of rNfwFmsgBRrtqQDcWtFAJMzK2P1yCs7XPy – rsV5XY4tm9dBN8mPX7RPEDuHLaA5fZjFSA [ with the nickname RL18-VN] – rpcRgbYy9CUAYADeueKmAKZz12wXi9fVNS – r9H8UWStzcajob8qkL7ZNQXjFpRfEnEvyE – OpenCoin – Ripple, recently created 40 escrow accounts of 5 million each, thus adding up to a total of 200 million XRP. It is also noticed that the rNfwFmsgBRrtqQDcWtFAJMzK2P1yCs7XPy address is also the receiving address of the 200 million XRP transaction. Many speculate that the creation of escrows by Ripple apart from their usual 1 billion XRP escrows is out of the ordinary, and may depict institutions locking up XRP for use at a later date, which are set from December 1st, 2018 to July 15th, 2020. The funds are also set to be returned to the same account once the contract expires in 11 months. Any developments with the escrowed funds will be seen at that time, but as of now, this removes close to 200 million XRP from circulation by locking them up in these accounts. Regardless of price, liquidity is getting deeper.